This is chapter #2 of the drop shipping quick start guide. To go to the list of chapters click here! Manufacturer produces the product. In general it does not sell straight to the public. Instead, they sell in bulk to wholesalers and retailers. Although buying from manufacture is cheap but in facet you have to buy big amount of products in bulk and you need to stock the products. Therefore, many prefer to buy from the wholesalers. Wholesaler purchases products in bulk from manufacturers and sell them to retailers. Wholesalers usually stock products from many manufacturers and mostly operate in a specific industry or niche. In additional a lot of them sell only to retailers and not directly to the public. A retailer is the one who sells directly to the public at a markup. 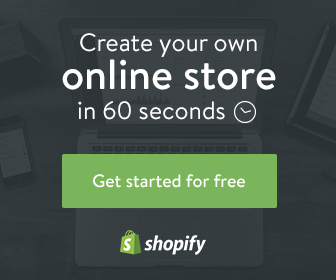 If you want to start a drop shipping business then you are likely a retailer. Note: Both manufacturer, wholesaler and retailer can act as a drop shipper! Of course prices vary between all of them. So if someone claims to be a “dropshipper”, this does not mean you’re getting wholesale pricing. It only means that the company will ship products on your behalf. To get the best price possible, you have to work directly with a legitimate wholesaler or manufacturer, do not worry about that now, we will discuss this topic in the next lesson. Now that you know the main players involved in a any drop shipping g business, let’s see how a drop shipped order gets processed. To demonstrate, we’ll follow an order placed with our imaginary store, called tech-gadget, an online store that specializes in technology gadgets. tech-gadget drop ships all of its items directly from a wholesaler. we’ll call Wholesale gadgety. tech-gadget and sally get an email confirmation for the order recently placed. Sally’s payment is captured during the checkout process and will be automatically deposited into tech-gadget ‘s bank account. In this step tech-gadget will forward the order confirmation email to a sales representative in the Wholesaler gadgety. Gadgety already has tech-gadget’s credit card on file and will bill it for the wholesale price of the ordered item, including any shipping, processing or other fees. NOTE: Although email is the most common way to place orders with drop shipping suppliers, advance drop shipping business companies support automatic XML (a common format for inventory files), order uploading and the ability to place the order manually online. Assuming the item is in stock and the wholesaler was able to charge tech-gadget ‘s card; Wholesale gadgety will wrap up the selected item and ship it directly to sally, the customer. Although the shipment comes from Wholesale gadgety, tech-gadget’s name and address will be shown on the return address label and its logo will appear on the invoice and packing slip. Once the shipment has been completed, Wholesale gadgety will email an invoice and a tracking number to tech-gadget, the retailer. NOTE: The turnaround time on drop shipping business is often faster than you’d expect. Most excellence drop shipping suppliers will be able to ship the order in a few hours, allowing retailers to benefit from same-day shipping even when they are using a drop shipping supplier. Once the tracking number is received, tech-gadget will send the tracking information to the customer likely by email which includes the order shipped, the payment collected and the customer notified that the order and fulfillment process is complete. Tech-gadget’s profit is the difference between what it charged sally and what it paid Wholesale gadgety. for instance, if sally paid you $100 and you paid $70 to the drop shipping supplier then your profit is $100 minus $70 which is equal to $30. in spite of its major role in the selling process, the drop shipping companies are completely hidden to the end customer. When the package is received, only tech-gadget’s return address and logo will be shown on the shipment. If sally receives the wrong item, she would contact tech-gadget, which would then coordinate behind the scenes with Wholesale gadgety to get the correct item sent out. In fact, the drop shipping companies do not appear to the end customer at all. Their main responsibility is to stock and ship items. Everything else like website development, marketing, customer service, SEO, etc. is the responsibility of the merchant.